Glamourdaze continues its examination of uniforms worn by women serving in the American forces – in this case the Marine Corps Women’s Reserve or USMCWR . Similar to the men, but with lighter cloth, the Winter uniform of the MCWR consisted of forest green jacket, six gore skirt and long sleeve khaki skirt, worn with necktie. Sometimes mistaken for their WAC counterparts, women marines wore a visored bell crowned hat, but trimmed with a lipstick colored cord, which was a tad more stylish than those worn by the WACS, WAVES or SPARS. Over this they wore a heavy green overcoat and oxford shoes, over which they would don galoshes for wet weather. 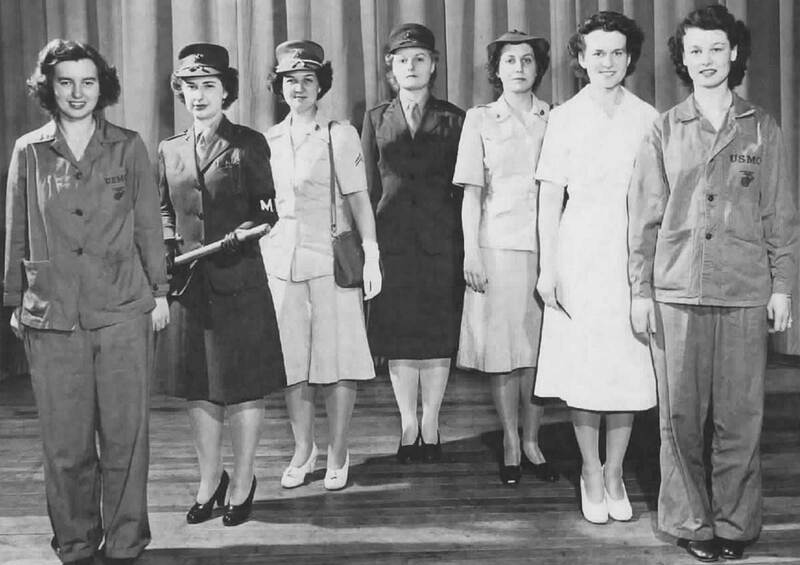 For a publicity photo, the women of Company H, 2d headquarters Battalion, Henderson Hall, model the various work and dress uniforms worn by women Marines during the course of World War 2. 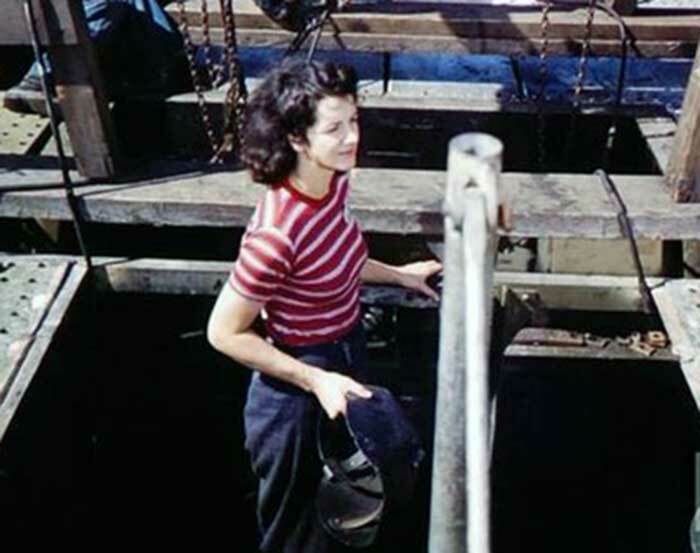 For Summer, the service uniform was a two-piece green and white seersucker dress. The hat was similar to the winter but in spruce green and white cap cord. 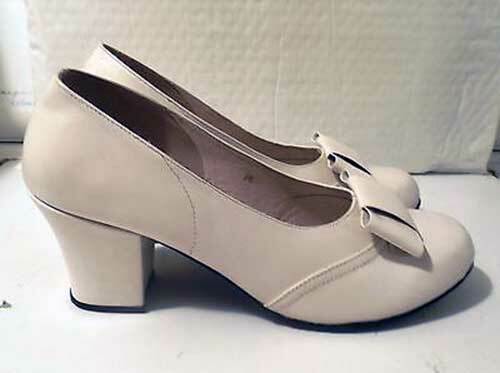 Shoes were brown, either oxfords or pumps. 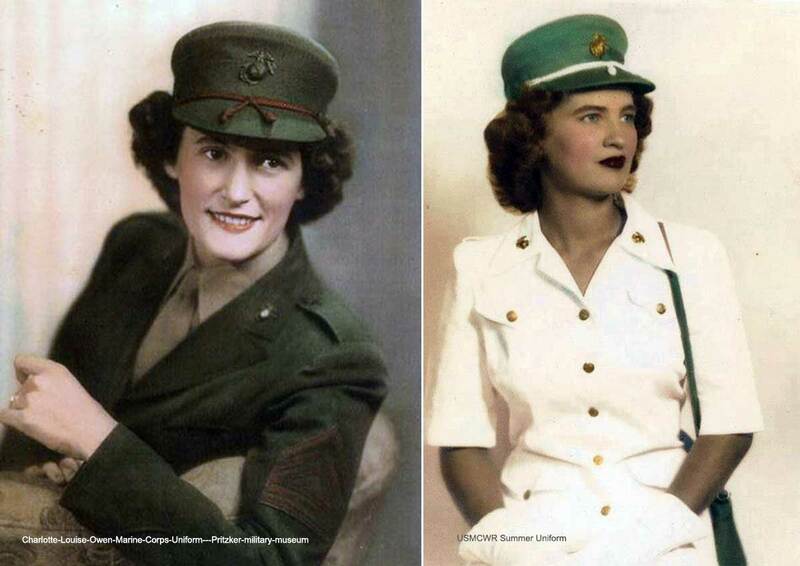 Marines Arlene Wilson and Barbara Baker model work and dress versions of the summer uniform. For dress, a bright green cotton cover used over the purse. 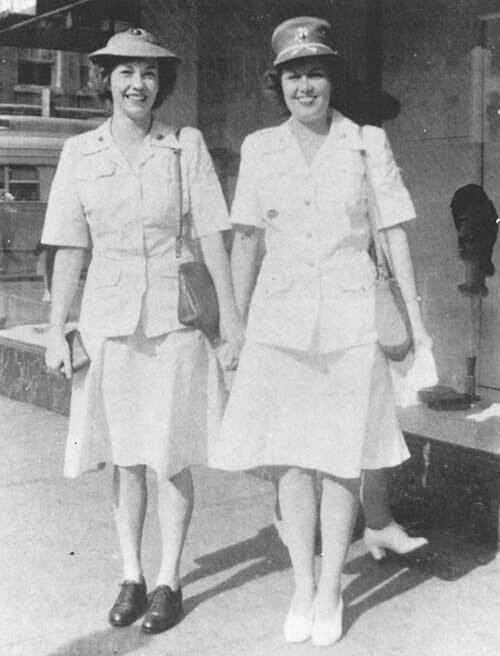 The summer dress uniform was a very stylish affair in white twill, worsted, or palm beach material and came in three different choices for officers: A, B and C.
Download direct to your device the 1940s Wartime Women Guides Pack.